Another hot topic is the authenticity of the Bible. For a Christian the Bible is the very Word of God. It’s the standard whereby everything is supposed to be measured. It’s the way the Creator of all things sees things. 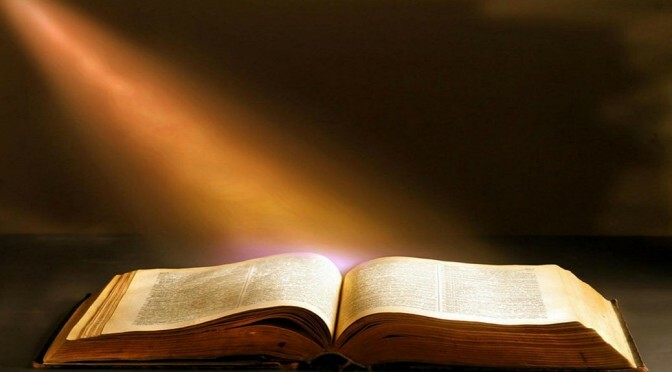 The Bible had many authors altogether, but the real author behind is God, through the inspiration of his spirit. These might be very foreign expressions for an unbeliever, but if there is a God, then there is such a thing as divine inspiration. (Modern spiritually inclined people would call that channeling.) God has been speaking to his people and He cares very much that we know how He views everything. One of the reasons Jesus came to Earth was that he would show what God is like. If someone is interested in God’s character, it’s enough just to read about what Jesus did and said. For the superficial reader there are plenty of inconsistencies and contradictions in the Bible, but careful, open-minded study leads to a very rich and full understanding of God’s heart and mind through the Scriptures. In time everything falls into place, but there needs to be a certain honest curiosity on the part of the reader. „It was my agnostic wife’s conversion to Christianity and the ensuing positive changes in her character that prompted me to use my legal training and journalism experience to systematically search for the real Jesus. After nearly two years of studying ancient history and archaeology, I found the evidence leading me to the unexpected verdict that Jesus is the unique Son of God who authenticated his divinity by returning from the dead. It wasn’t the outcome I was necessarily seeking, but it was the conclusion that I believe the evidence persuasively warranted. For my book The Case for Christ, in which I retraced and expanded upon my original journey, I sat down with respected scholars with doctorates from Brandeis, Cambridge, Princeton, the University of Chicago, and elsewhere, peppering them with the tough questions that had vexed me as a skeptic. I walked away all the more persuaded that the cumulative evidence established the deity of Jesus in a clear and convincing way. That book was published in 1998. Since then the Jesus of historic Christianity has come under increasingly fierce attack. From college classrooms to bestselling books to the Internet, scholars and popular writers are seeking to debunk the traditional Christ. They’re capturing the public’s imagination with radical new portraits of Jesus that bear scant resemblance to the time-honored picture embraced by the church. In 2003, Dan Brown’s wildly successful novel The Da Vinci Code provided a flashpoint for the controversy, bringing jaw-dropping allegations about church history and Jesus’ identity into the public’s consciousness through an intoxicating brew of fact and fiction. But the issues go much deeper. For many people, their first exposure to a different Jesus came with extensive news coverage of the Jesus Seminar, a group of highly skeptical professors who captivated the media’s attention in the 1990s by using colored beads to vote on what Jesus really said. The group’s conclusion: fewer than one in five sayings attributed to Jesus in the Gospels actually came from him. In the Lord’s Prayer, the Seminar was confident only of the words “Our Father.” There were similar results when the participants considered which deeds of Jesus were authentic. What made the Jesus Seminar unique was that it bypassed the usual academic channels and instead enthusiastically took its findings directly to the public. “These scholars have suddenly become concerned—to the point of being almost evangelistic—with shaping public opinion about Jesus with their research,” said one New Testament expert. They found a ready audience in many Americans who were receptive to a new Jesus. With the public’s appetite whetted, publishers began pumping out scores of popular books touting various revisionist theories about the “real” Christ. At the same time, the Internet spawned a proliferation of websites and blogs that offer out-of-the-box speculation about the Nazarene. An equal-opportunity phenomenon, the World Wide Web doesn’t discriminate between sober-minded scholars and delusional crackpots, leaving visitors without a reliable filter to determine what’s trustworthy and what’s not. Meanwhile, college classrooms provided a fertile field for avant-garde beliefs about Jesus and Christianity. According to a landmark 2006 study by professors from Harvard and George Mason universities, the percentage of atheists and agnostics teaching at U.S. colleges is three times greater than in the population as a whole. More than half of college professors believe the Bible is “an ancient book of fables, legends, history, and moral precepts,” compared to less than one-fifth of the general population. In recent years, six major challenges to the traditional view of Jesus have emerged. These issues have left many Christians scratching their heads, unsure how to respond, and have confused countless spiritual seekers about who Jesus is—or whether they can come to any solid conclusions about him at all.